Looking to start your own business but don't know what exactly you want to do? Have you always dreamt of being your own boss but didn't have the fortitude to jump right in? I have come across an idea that might just be what you have been looking for-A Super Cuts Franchise! 25% are females looking to start their own business. 56% looking to start a business are planning on having a business partner. 30% of respondents looking to start a business are going into business with a friend and 26% are going into business with a colleague. 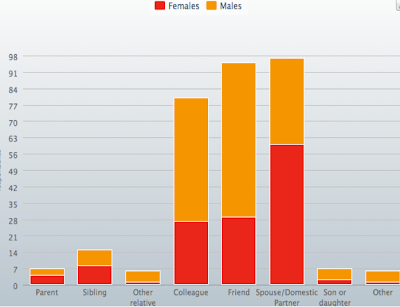 Females are more likely to go into business with a spouse or domestic partner than males. So now you know that you don't have to know how to cut hair to own an awesome franchise like Super Cuts but what else do you need to know in order to consider this opportunity? Haircuts are a necessity. Everyone (well almost everyone) has hair so its important to know that your business will always be in demand. Technology will never make your business obsolete. You business will still be in demand as long as people have hair. You don't have a high amount of staff, inventory costs are low, hours are especially reasonable compared to other franchise industries such as food, automotive, child care, fitness, etc.